Why magnesium is important and how to get enough of it? Here is a word you probably don’t come across when you read articles about fitness and exercising – magnesium. But having enough of this mineral plays a crucial role in preventing muscle cramps, lack of sleep and energy, and pain. Without the proper level of magnesium in you system you can forget about your body converting energy. This dietary chemical acts like an enzyme to keep blood pressure normal, bones strong, and the heart rate stable…among more than 300 other bodily functions. Only about 30 percent of adults in America consume the recommended daily amount of magnesium, which is about 310-400 mg, according to the National Institutes of Health. Those who don’t get enough are more prone to inflammation, which has been linked to heart problems, diabetes, and even some types of cancers. 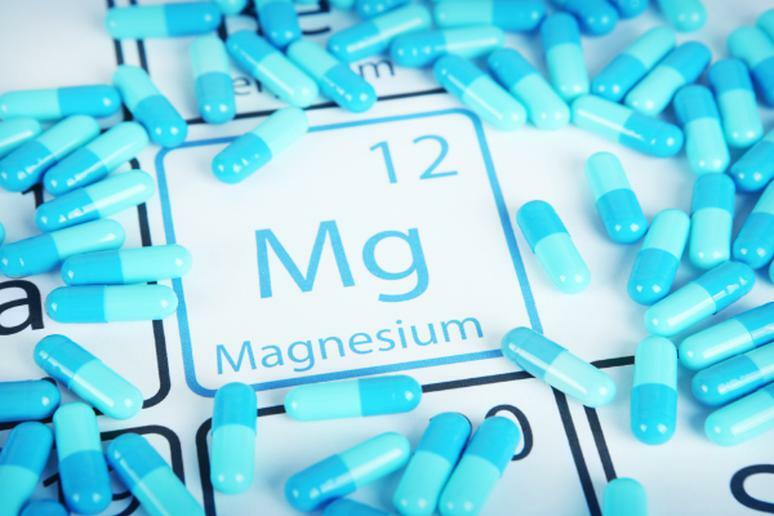 Magnesium is the main component of many laxatives. Deficiency of this important mineral is the second most common kind in developed countries after lack of Vitamin D. Do you think you lack it too? The answer is most likely yes if you: drink a lot of soda, eat a lot of desserts and other sweet stuff, or drink too much coffee or alcohol. Carbonated drinks have phosphates that block the magnesium; sugar makes the body use A LOT of its magnesium molecules to process it, leaving you in deficit; caffeine makes the kidneys get rid of more magnesium than necessary. Magnesium deficiency is associated with neurological issues as well – anxiety, poor sleep, stress, hyperactivity. The mineral has a lot to do with electrolyte imbalances and nerve transmission. Too little of it can leads to chronic bad mood, low energy and clinical depression. Getting enough of this vital dietary nutrient in your body is not difficult at all. There are plenty of foods that contain enough of it in a few bites. One obvious choice is to take supplements. There are a lot of actions you can take if you are one of those people who dislike the idea of taking any kind of pills. It all starts with a healthy diet but you have to be aware of the changes that have occurred in many foods. Magnesium content in some veggies has declined by half since the 1950’s; and the way grained is refined for bread and pasta gets rid of 90 percent of the total magnesium. You can count on beans, nuts, brown rice, certain fish and green leafy vegetables to always have lots of magnesium. Make sure you eat enough seeds, avocados, yogurt, bananas, dried fruit, and dark chocolate (yay!) to increase your daily intake of the natural mineral. Just one square of this sweet heaven give you a quarter of what you need in a day. (It comes with a bonus of antioxidants that are important for blood pressure. In addition to eating more foods that are rich in magnesium, stop consuming others that are getting rid of it – drinks less, avoid gluten, stay away from refined sugar, keep stress levels low, and don’t drink so much tea. Something else that will help you keep magnesium at the right levels is consuming enough vitamins because they absorb magnesium in your body. So indulge in foods that have lots of Vitamin D, B, and E.